For ages, Elijah has had a problem with how alignments are presented in Dungeons and Dragons. It's not that he has an issue with their definitions, simply that he feels that these alignments are more subjective. In his opinion, it should be less about whether or not your actions fit the definitions in the book and more about how your character feels about their actions. 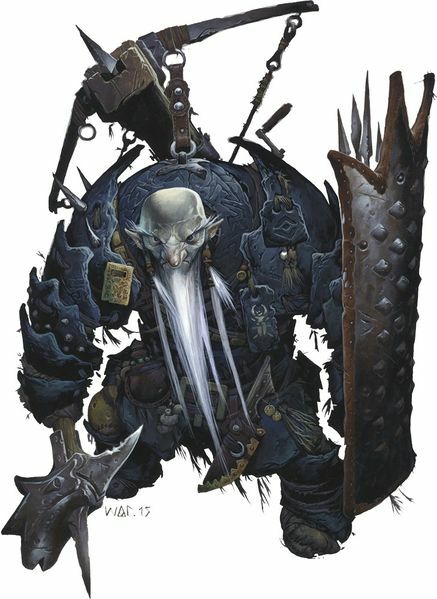 So for example if your Dwarf Barbarian starts a bar fight over a spilt drink and they believe that is a right and "good" thing to do, then that would make them a good alignment. Of course in D&D this isn't exactly how it works. Attacking some one over a spilled drink could hardly be considered a "good action" and would at least fall under the umbrella of a neutral or at the worst, an evil act. But again, for Elijah he always felt that this interpretation should be more subjective, rather than the clearly laid out objective nature of the alignments as presented in the books. D&D clearly presents the idea of a metaphysical sense of good, neutral and evil. These alignments are higher concepts, so there is definitive good and evil. That Platonist concept is how the alignments function. So you can detect some one's true alignment as it appeals to this ultimate example of what good, evil or neutrality mean. In order to try Elijah's subjective alignments concept out, Elijah proposed the idea of introducing a Non-Conformist Paladin from a far away land. In this far away place, "good", "evil" and "neutral" have different meanings. 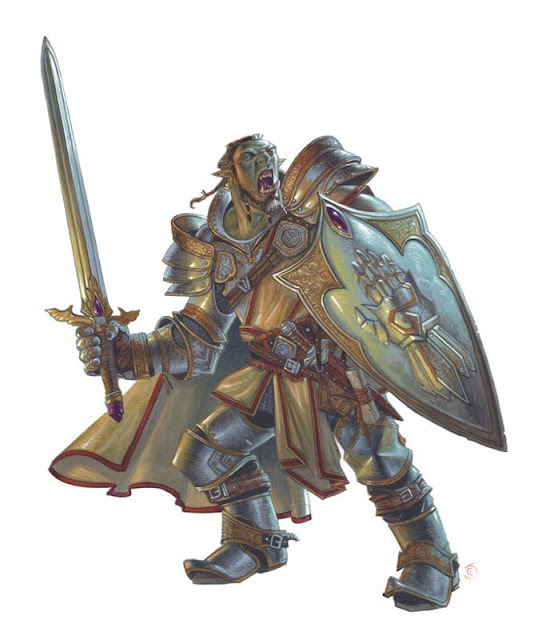 This Paladin for example, may see beggars and the impoverished as criminals needing to be punished, or perhaps see laughter as a capital offence. Whatever the specifics, they would have a different moral compass from those around them, but would still be Lawful Good as they are following what they believe to be right and the higher "good". I think this is a really interesting idea, and having the Paladin be from a far away land would certainly let you experiment with that with a more subjective alignment system. The only major problem that I see in this is how others would view that character's alignment: particularly when using a detect alignment spell. Wouldn't such a character be seen as evil? Would things that only effect evil aligned creatures effect them? How do you resolve a character who's actions are viewed as evil by those around them when they themselves believe they are doing right? I am honestly not sure. Frankly part of me believes that it doesn't really matter. With restrictions gone and alignment being downplayed in later editions, these sort of conflicts and issues might not even arise. But there is a part of me that thinks party members with a "normal" Lawful Good alignment might take offence, and cause some real issues in the party. Personally I think Alignment Conflicts are a good thing in game, and promote role play and character experience, but for some this idea may simply not work. What do you think? Will Elijah's Non-Conformist Paladin work in game? Or do subjective alignments defeat the whole purpose of alignments in the first place?